Hey Everybody! Sorry that it has been so long since I have posted a Thrift Store Junkie post, but the picking has been pretty slim up until recently. I live in Pennsylvania and during the winter months there simply are no yard sales or flea markets. Well, thankfully the dry spell has ended. First up I will mention a couple of Goodwill finds that I picked up over the past couple of months and then I will dive into the flea market/yard sale finds. I picked up Mega Bomberman at Goodwill about a month ago from Goodwill. The Bomberman games are one of my favorite game series so it was really nice to find this. I picked the game up for 2 or 3 dollars, I remember for sure. 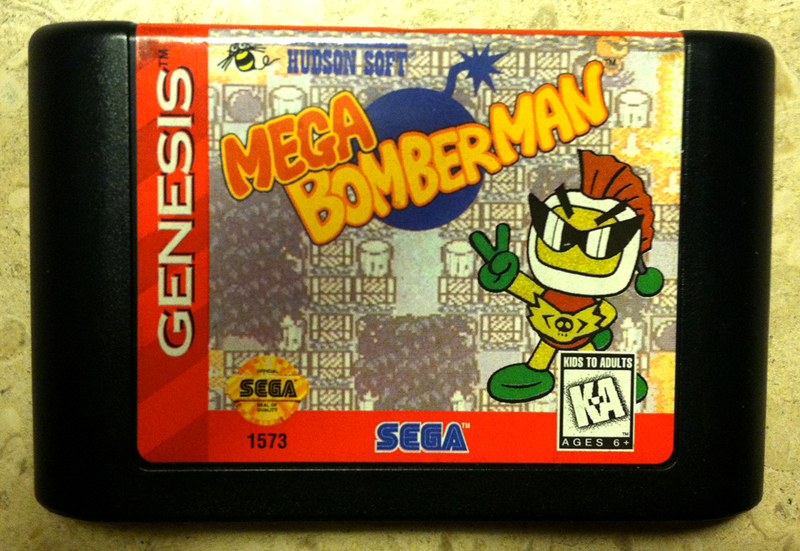 The game is great although it is pretty similar to Bomberman ’94 on the Turbografix which I already own(not the actual HuCard but I do own it on the Wii’s Virtual Console), actually it is pretty much the same game. If you have ever played a Bomberman game then you know how this game plays, and they are all fantastic games (At least I think so). Although the weekend that I picked this game up I had a multitude of chores to get completed I still found 3 hours to burn playing this game. I don’t regret it for a second. 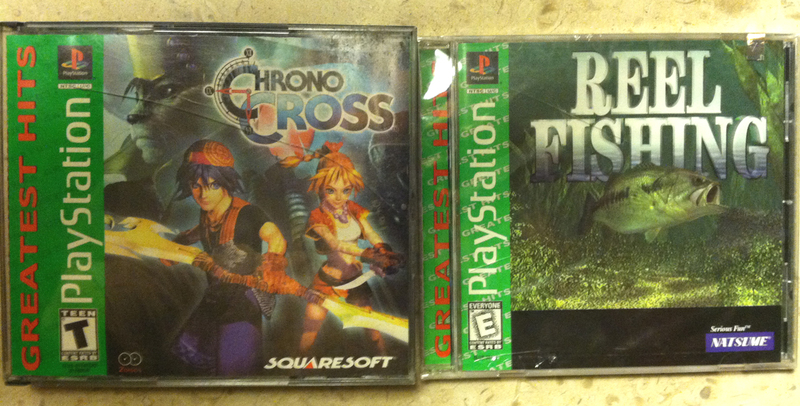 Also about a month ago I picked up Chrono Cross for PS1. I picked the game up for 2 dollars. I have yet to play the game much, but I have heard great things about the game. Unfortunatly I have quite a backlog of RPG’s to play though. I am very excited to start this game because I loved Chrono Trigger on the SNES. I am currently playing Legend of Legia on PS1 and also Blue Dragon on Xbox 360. The best pick up I had so far this season though is these 4 Playstation games that I picked up. I had been looking for Jersey Devil and Team Buddies for a very long time. I have never played Team Buddies but I know that it can go quite high on E-bay and Amazon. Jersey Devil didn’t get the greatest reviews at the time that it was released, but I remember playing the demo of this game close to 50 or so times. As far as I am concerned it is a classic. Crash Bash is of course a Crash Bandicoot game. The twist is that it plays more like a Mario Party game. I remember renting this game when it first came out and not being to happy with it, but at the time I was expecting a standard Crash Bandicoot game. Now that I know better I am excited to give the game a second chance. 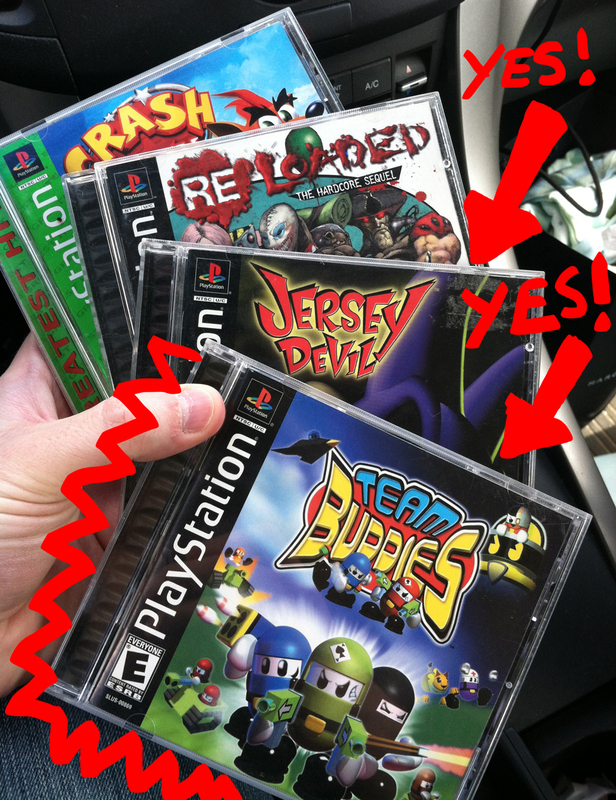 My sisters and I used to love playing Bomberman World and Crash Bandicoot Racing on PS1 with the PS1 Multitap. I have 3 sisters so we had many nights that we all sat around my TV and played. Though we no longer all live in the same house I still love the idea of owning multiplayer party games for each of my systems, so both Team Buddies and Crash Bash were awesome finds just because of this. Finally we come to Re-Loaded, not a great game but one that I spent many hours playing when I first got my PS1. I had traded the game in later though to get something else and have been wanting to find another copy ever since, so it was pretty awesome to find a copy for 2 bucks. This will actually probably be the first game I play when I sit down tonight to try these games out. 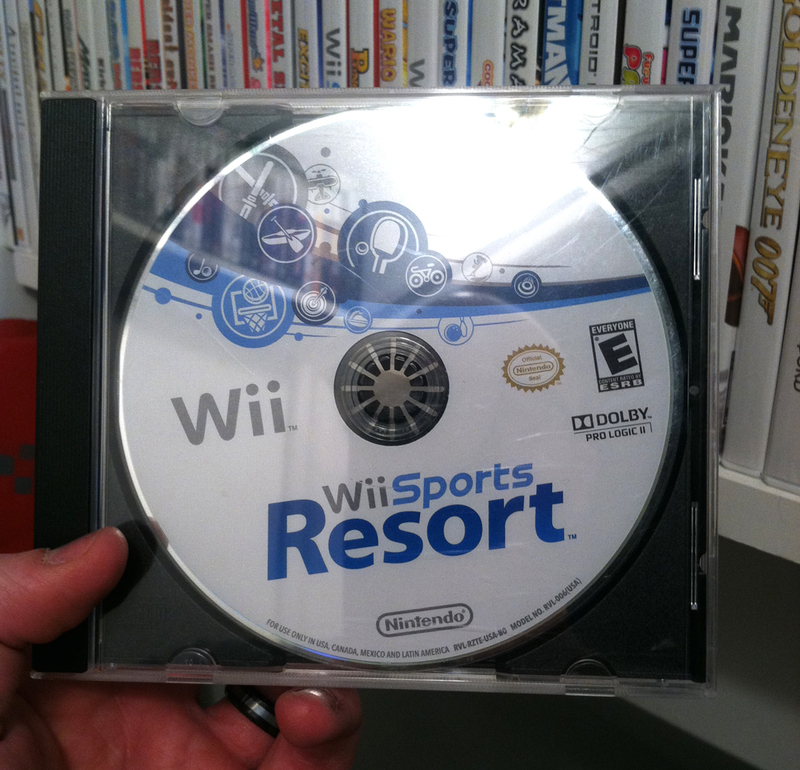 Last but not least though, I also picked up a copy of Wii Sports Resort at a Church Rummage sale. I payed 5 dollars for the game, which is normally more than I would pay for a Wii game at a Flea Market (unless of course I found any of the Operation Rainfall games or a select few other games missing from my collection) but I had been looking for this for awhile and didn’t want to spend full price for it (Gamestop is still selling new copies for $39.99 and used copies for $29.99). The game had no case but also by some strange twist also had no wear or scratches. I picked up a case that had Math Blaster for PC in it (but no backing artwork) and discarded the Math Blaster and popped my game in and hurriedly rushed over to pay for the game and go home to try it out. Holy mackerel, Team Buddies is at least $70 on eBay. Such a shame I sold mine long, long ago.